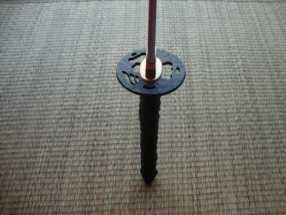 Introducing model Seven from the Dojo Pro bo-hi series, this particular design is characterised by its lotus shaped tsuba and black and whites sageo. I have been practicing kenjutsu for 8 years. 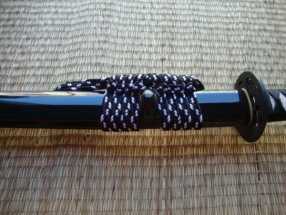 This is my third Ronin Dojo Pro #7. I gave away the previous two as gifts. 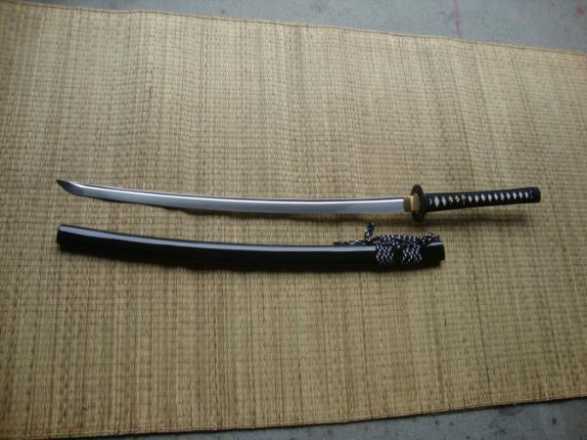 You have to rate for me to give you one of my katana from my collection. 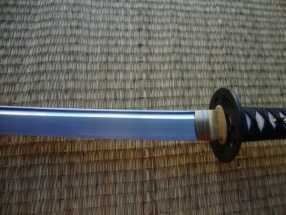 I keep replacing this katana because I like it so much. I do quite a bit of cutting, and as advertised it can take a beating and still keep its edge. Each #7 has been consistent in that there virtually were no differences between them except I think the third one is sharper than the previous two. I think it speaks well of their quality control. The blade shows no signs of wear or scratching compared to some of my more expensive, differentially heated blades, from tatami-omote mats. It speaks greatly about quality, cost, and mono-tempering. 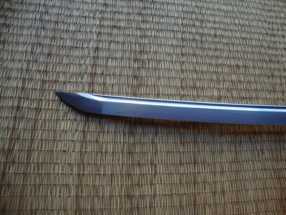 Also the fit of the koiguchi is just right and will hold the katana when held upside down. A great beater and cutter, high quality materials, and very tight assembly. I highly recommend it.